As a leading voice in the superhero and comic book industry, Co-Owner of Sparkle City Comics Brian Schutzer was featured in CNBC to discuss the new movie “Venom”, it’s impact on the Spider-Man universe and what this means for the superhero genre going forward. “Venom” is a new movie produced by Sony and Warner Brothers based on the supervillain Venmon within the Spider-Man universe. This is one of the first major motion pictures to solely feature a supervillain as the main character and could set the tone for this movie genre going forward. If “Venom” performs well in the box office, Sony is prepared to begin rolling out additional movies within the Spider-Man universe focusing on supervillians and antiheros. This is extremely exciting news for the comic world. Columbia Pictures has already vowed to stay true to the stories in the original comics. 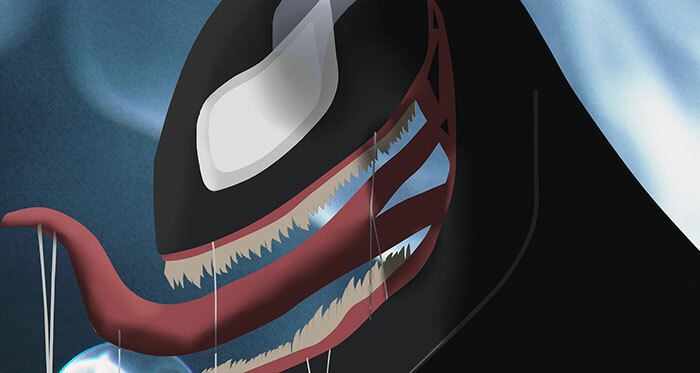 With the vast array of interesting characters that haven’t had their time on the big screen yet, “Venom” could pave the way not only for many more comic-based movies, but another uptick in interest of comic books themselves. When new genres, characters and story lines make their way into the mainstream, it opens up opportunities for comic book collectors and investors alike. If you find yourself looking to buy related items you can always search our eBay page. If you’re interested in selling hot items at the right time, you can always reach out to use at 800-743-9205 or fill out our seller inquiry form and someone will be able to help you right away!